Linda Tringali - Peaceful Planet Kids Music event, Saturday, March 26th! Florey's Books welcomes Linda Tringali as she presents a Peaceful Planet Kids Concert. 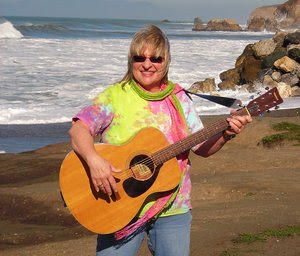 Linda Tringali is a folksinger, songwriter and early childhood educator who lives in Pacifica. Linda draws experience from her years of teaching children in the Bay Area, performing and producing two albums in the 80's as Tringali/Roth and her work with Bristow Educational Productions performing throughout California and Nevada. 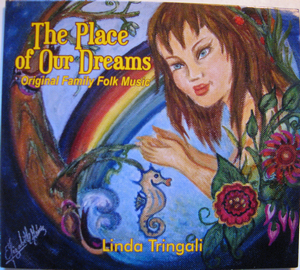 Linda's third album "The Place of Our Dreams" is now here. Come have fun with Linda and her environmental music sing-a-long. You may find yourself singing with the animals under the Moon by the Green Lagoon, clicking with the crickets on castanets, dancing with an octopus in the deep blue sea or singing about a dinosaur! Fun songs for young children learning about a loving, sharing, peaceful, planet. "Cancer on my Mind" book event, Saturday, March 19th! 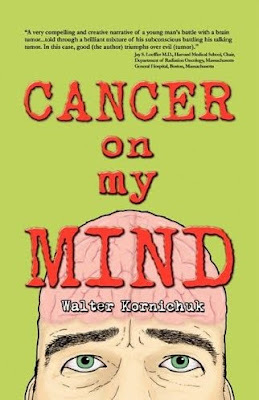 Florey's Books welcomes local author Walter Kornichuk to read and discuss his book "Cancer on my Mind". "Cancer on my Mind, by Walter Kornichuk, is atypical among non-fiction brain tumor survivor books because it is narrated by a talking tumor that I battle for my survival. Applying a cancer patient versus brain tumor (man against himself) approach to surviving a brain tumor enabled me to learn about my enemy, apply a “never give up attitude” to try to defeat it, and provide insight into what a cancer patient deals with mentally and physically. The book is unique and worthwhile because the tumor dialogue is outrageously funny, bringing humor to a life-and-death struggle that has touched the lives of many Americans." In 2000, Walter Kornichuk was diagnosed with a brain tumor and given a 40 percent chance to survive five years. He is happy to celebrate his tenth year of cancer-free living. He has been a volunteer for the National Brain Tumor Society-Patient and Caregiver Support Network since 2006. Walter is a Lead Transportation Security Officer for a private aviation security company at San Francisco International Airport.